The competitive climate is getting increasingly intense; that much is undeniable. And today, organizations have to make use of every edge they can to stay ahead. 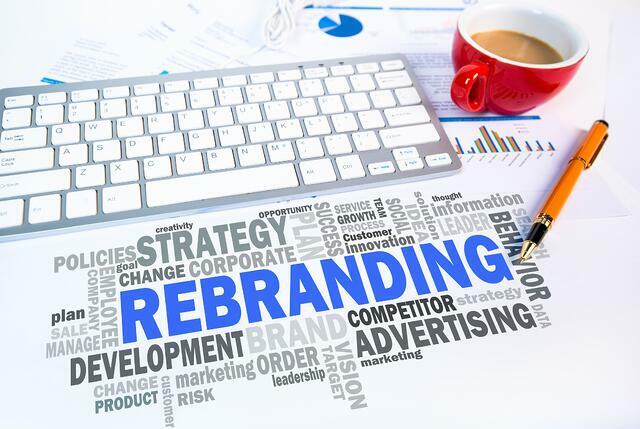 This is where rebranding comes in- a critical technique companies use to enhance their competitive positioning, differentiating their offerings and providing value to their market, essentially carving out a spot at the forefront in the competitive market. After all, one only has to look at brands such as Apple and Google to truly appreciate the power of branding. However, firms often end up making poor branding decisions that can have disastrous consequences on their business integrity, and CEOs are not sure how to respond to such circumstances. First of all, marketers and entrepreneurs need to be aware of the common instances in which their brands might not be received well by their target customers. Here are 5 instances every marketer needs to be aware of. Using a ‘shotgun’ approach rather than a ‘honey’ approach: Entrepreneurs can suffer a lot in their efforts to brand their product or service if their approach to selling is uninviting and pushy instead of welcoming and humble. It can be disastrous for you to go to a networking event and force your product leaflets or brochures on everyone. No one likes to be forced into buying your product or service. Showing more concern to your own goals instead of the feelings, attitudes, and needs of your customers: It is often the case that entrepreneurs are very goal-oriented as opposed to being customer-focused when it comes to branding decisions. If you, as an entrepreneur, pursue your goals at the expense of satisfying customer needs by compromising on quality and other features, your customers will notice it and will dislike your brand. Making unduly claims in your marketing campaign: Entrepreneurs should not attempt to make baseless or excessive claims regarding their product in an effort to boost their visibility and brand value. The more genuine entrepreneurs remain in their approach to branding, the more they will be liked by their customers. Promoting a useless product: There is simply no point investing hundreds and thousands worth of dollars if your product provides little to no value to your target customers. You can influence your customers to buy from you the first time around, but you certainly won’t be winning any repeat customers. You are already perceived negatively by the public: If your business has been known in the past for doing something inappropriate or not according to customer interests, then chances are that your brand will not be perceived well either. Businesses operating in the tobacco industry are typically subject to this problem. >> Does your brand need a facelift? Download our 101 reasons to rebrand guideline. What it means for small and large businesses? What this means for businesses, regardless of their size, is that entrepreneurs and CEOs must always stay focused on customers’ needs and never promote their products in a forcible and uninviting way. They should also ensure that their promoting a product or service that provides value to their target customers and that any negative perception by the public is countered before launching any new marketing campaigns. When does having a hated brand work? Interestingly enough, not all hated brands have to worry about closing their business or being forced out of the market. There are many brands that simply do not get much love from customers and still survive to tell the tale such as airliners and supermarkets. This is because there are other factors at play which causes customers to continue consuming their products or services such as ease of accessibility, convenience, time, and other factors. So people will use airliner services or visit supermarkets if the aforementioned factors are more significant than their preferences. That being said, a hated brand will not work for a small business. This is because a small business does not have the resources at the level of larger business and cannot utilize them to remain competitive from an operational point of view. Small businesses do not have economies of scale and thus are heavily reliant on people’s positive brand perceptions to grow their operations. Larger businesses, on the other hand, will also be affected. However, unlike small businesses, their low costs and other competitive advantages can pull them out of tight spots and their access to working capital and other resources can effectively be used to rejuvenate their brand. Bottom line, businesses need to pay heed to the following statement by Bill Cosby: "I don't know the key to success, but the key to failure is trying to please veryone". At least people would know your brand in either case. For a brand to be hated, it means that it is in the spotlight, and it is evoking opinions and emotions.